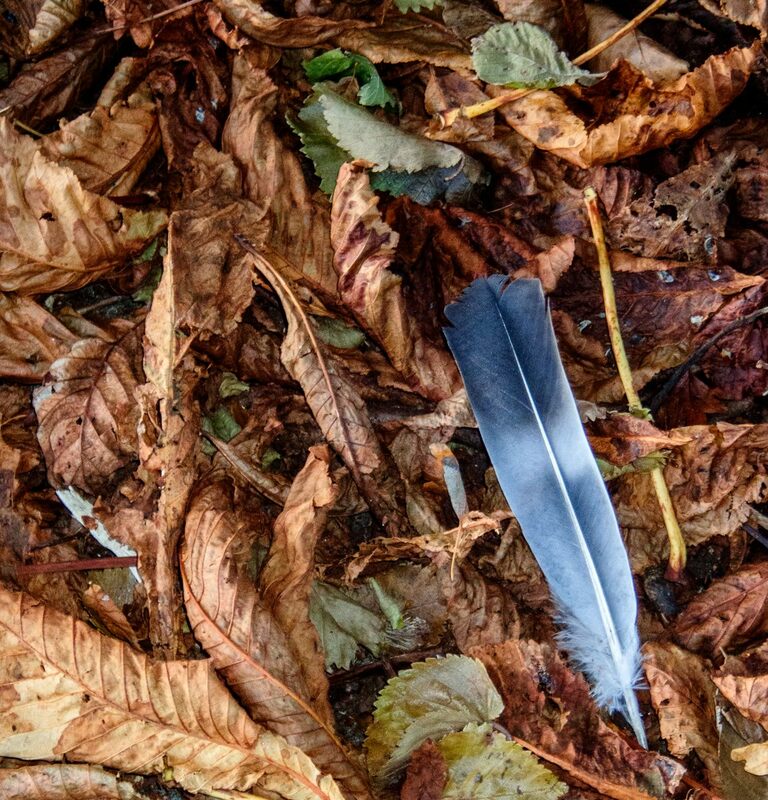 Autumn: leaves from a Horse Chestnut tree, and a tail feather from a Woodpigeon. This is the towering Horse Chestnut, in Church Lane, shown here . There are earlier autumn posts here: 1 2 3 4 5 6 7 . Each will open in a separate window. The first image in the Outer Suburbs series, with context, is here: 1 . Subsequent images are here: 2 3 4 5 6 7 8 9 10 11 12 13 14 15 16 17 18 19 20 21 22 23 24 25 26 27 28 29 30 31 32 33 34 35 36 37 38 . Each will open in a separate window. Technique: TG-5 at 91mm (equiv); 500 ISO; flash; Lightroom, using the Camera Vivid film simulation; south Bristol; 30 Oct 2018. I too have been staring closely at the leaf litter this autumn and finding little cameos like this. Thank you, my friend. ATP xxxXXX!! !